The sun and the rain are two rather important facets of nature; both are necessary to help lawns, gardens, trees, and shrubs flourish throughout their growing seasons. Yet over time, they can also have not-so-positive effects on the condition and/or appearance of a property. Due to repeated exposure to these elements, soil composition can break down and can even experience the erosion/washing away of its top layer. 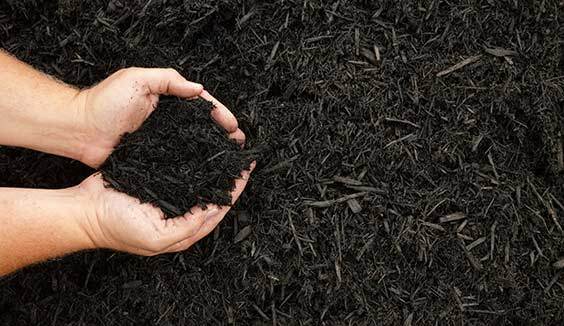 Additionally, mulch that once looked fresh and full in garden beds and around trees can dull in colour and perhaps decompose. In turn, homeowners need to set aside the time to remedy such situations and restore the vitality and curb appeal of their landscaping; and this dedication of time will need to include ordering, pick-up or delivery, and spreading of the soil and/or mulch. To alleviate the time and effort inherent in these steps, North York residents may want to capitalize on the soil and mulch delivery and spreading service provided by the Simple Solutions Landscaping and Snow Removal team. Furthermore, since Simple Solutions Landscaping and Snow Removal is able to purchase soil and mulch in bulk, these cost savings are passed along to the homeowners, thereby helping to save time and money while simultaneously enhancing the curb appeal of the property. 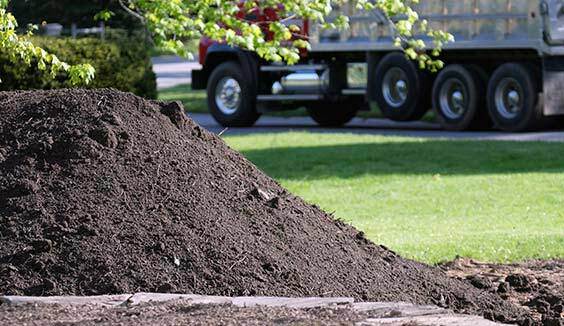 To learn more about this soil and mulch delivery and spreading service, call the landscaping maintenance professionals from Simple Solutions Landscaping and Snow Removal today at 416-271-3503 or contact us to discuss the ideal solution for your property and to request your free quote.